Firstly if you are a professional valeter you may clean numourous vehicles throughout a day and come into contact with many chemicals, bacteria and dirt. You may be unaware of a graze or cut on your hands and if you get infection you will be sore or even worse unable to do your job. Note: Don’t use material or woolen gloves as they will soak up chemicals and put your hands at risk! 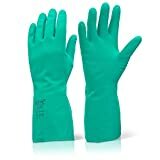 The Chemical Hut Extra Extra Large Green Nitrile Flock Cotton Lined Chemical Solvent Resistant Gauntlet Gloves Pair EN388, EN374-2, EN374-3 - Farmers Engineers Lab Worker - Comes Anti-Bacterial Pen! 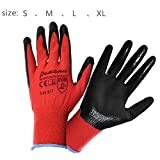 Heavy duty Gauntlet gloves useful for genral washing protecting your hands and lower arms from detergents. Disposable Nitrile gloves giving great protection for more intricate work, like waxing and polishing. Nitrile gloves are a disposable glove made from synthetic rubber. They contain no latex proteins and offer excellent resistance to working conditions. Nitrile gloves don’t split or puncture as easy as some rubber gloves and can be used as a resistance to many types of chemicals. 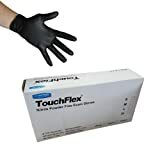 They are often considered to be one of the the strongest types of disposable glove and are generally safe for people who have an allergy to latex. 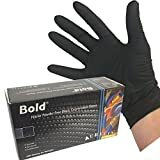 Unlike other disposable gloves, nitrile gloves have low resistance to friction and are very easy to slide on making them great for valeting and detailing. Nitrile gloves come in various sizes to fit all hands, from extra small to extra large. They are resistant to many oils and some acids, making nitrile gloves a good choice for many working environments. Protect your hands at all times they are your most high value tool!